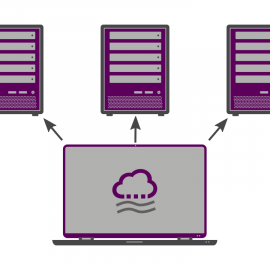 CFD Direct From the Cloud™ (CFDDFC) is a Marketplace Product for AWS EC2, that provides a complete platform with OpenFOAM and supporting software running on Ubuntu Linux. It enables simple, fast creation of a cluster of instances to run CFD with OpenFOAM. 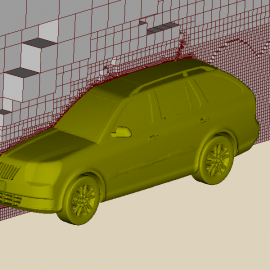 We tested Amazon EC2 C5n instances, launched in November 2018, on 2 cases of steady-state, external aerodynamics around a car and transient simulation of water flowing over a weir. With meshes of 50-100 million cells, results showed 70%-90% scaling at 504 cores. The cost of the simulations was in the order of $100, compared to $100,000+ to purchase on-premises hardware and licences of proprietary software. OpenFOAM provides leading CFD software to thousands of people within academia and industry for free. However, CFD is inherently complex and competency in CFD requires more than simply “learning the software package”. Our 4 OpenFOAM Training courses build CFD competency through a process of solution design with course prices equivalent to 1-2 weeks of payroll cost of a CFD engineer or 2% of a single core, commercial CFD licence. 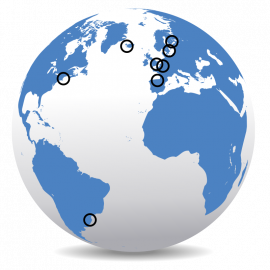 Our schedule includes classroom courses in UK, Germany and USA, with Live Virtual attendance worldwide, and on-site training for groups of 5 or more. In Spring 2019, CFD Direct is running its OpenFOAM Training courses — Essential CFD, Applied CFD, Programming CFD and Cloud CFD — fully updated with the latest features of the new version 6 release of OpenFOAM. 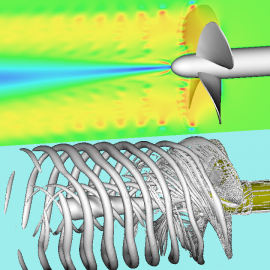 Essential and Applied CFD courses are available — with some remote places for remote attendance — on: 4-7 Feb, London UK; 25-28 Feb, Houston USA; 20-23 May, Cologne Germany; 13-16 Jun, Denver USA. Programming CFD is available 29-31 Jan and 12-14 Mar as Virtual Training. We design our OpenFOAM Training so that users can learn effective CFD, giving them the confidence to carry out CFD analysis, repeatedly, to a defined standard in a timely manner. We provide 4 courses that teach reliable procedures to configure, run and maintain CFD simulations. While creating and improving these courses, we have contributed tools to OpenFOAM for more productive CFD, so that users waste less time on routine tasks. They include the post-processing command line interface, template cases, and tools for case setup, monitoring simulations, quick documentation and code customisation. In Autumn 2018, CFD Direct is running its OpenFOAM Training courses — Essential CFD, Applied CFD, Programming CFD and Cloud CFD — fully updated with the latest features of the new version 6 release of OpenFOAM. Essential and Applied CFD courses are available: 24-27 Sep, London UK; 15-18 Oct, Chicago USA; 30 Oct – 1 Nov and 5-7 Nov, Virtual Training; 12-15 Nov, Munich Germany. Programming CFD is available 11-13 Sep and 2-4 Oct as Virtual Training. 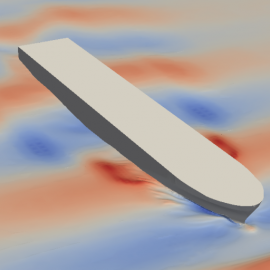 We use new features in OpenFOAM v6 for more productive and effective CFD. CFD Direct From the Cloud (CFDDFC) is our established platform for running OpenFOAM, ParaView and supporting software using cloud computing. CFDDFC is now available on AWS C5 and M5 instances of Elastic Cloud Compute (EC2). The CFDDFC product page on AWS MarketPlace now lists CFDDFC versions 5.2 and 4.2, corresponding to versions 5 and 4 of OpenFOAM, respectively. Users who launch CFDDFC with the command line interface should update their installation of CFDDFC immediately. CFD Direct announces the release of their new 1 day Cloud CFD course, the fourth course in their portfolio of OpenFOAM Training. The course enables users to run CFD with OpenFOAM on AWS, training the tools and processes for inexpensive, secure, efficient cloud use. The course addresses the main concerns of using public cloud: cost management, security, efficient CFD and data management. It exploits the cost benefits of cloud: meeting fluctuating demand for hardware at a cost that represents consistent, high utilitisation; and using cheaper, spare capacity, with an application that does not require 100% availability. In Autumn 2017, CFD Direct are running their OpenFOAM Training courses — Essential CFD, Applied CFD and Programming CFD — fully updated with the latest features of the new version 5 release of OpenFOAM. Essential and Applied CFD courses are available: 25-28 Sep, London UK, and 16-19 Oct, Chicago USA with limited places via the Internet; 6-9 November, Munich Germany. Programming CFD is available 12-13 Sep and 3-4 Oct as Virtual Training. 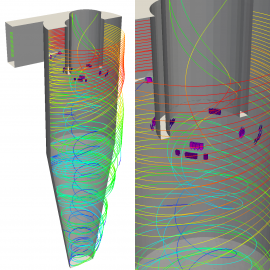 We use new features in OpenFOAM v5 to give our participants the confidence to carry out CFD analysis, repeatedly, to a defined standard in a timely manner. CFD Direct From the Cloud (CFDDFC) is our established platform for running OpenFOAM, ParaView and supporting software using cloud computing. 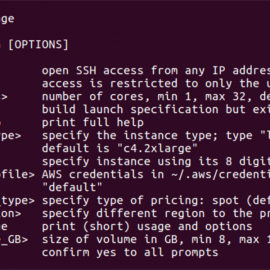 We are pleased to announce the release of our CFDDFC command line interface (CLI) for quick, simple, deployment of OpenFOAM CFD workloads with CFDDFC on Amazon EC2. The CLI is a simple shell script named “cfddfc” that users can follow a few short short steps to get running. It uses EC2 Spot Instances by default, and provides cost estimates for data transfer to help users run workloads at lowest cost. 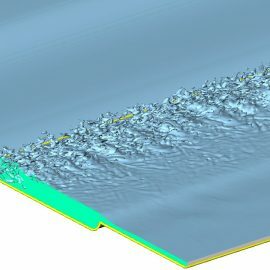 In May 2017, we implemented water wave modelling into the public, development line of OpenFOAM (OpenFOAM-dev), to simulate flow conditions experienced in marine and offshore engineering, e.g. on a ship in open water. The initial implementation includes the first order Airy wave and the second order Stokes wave (Stokes II), a second-order accurate utility to apply waves for case initialisation to the entire domain. 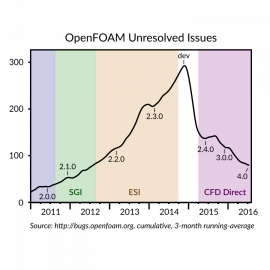 A verticalDamping source (fvOption) provides wave damping towards outlet regions and an interfaceHeight function object processes interface elevation at specified locations. In April 2017, we added barycentric tracking into the public, development line of OpenFOAM (OpenFOAM-dev), as a complete replacement to the tracking algorithm that existed in OpenFOAM for over 10 years. Barycentric tracking works on any decomposed tet mesh, irrespective of mesh quality, including poor quality, flat and inverted tetrahedra. The new development was funded from the €100 k for OpenFOAM maintenance, raised through the OpenFOAM Foundation in 2017, in which “particles and tracking” was identified as an area in OpenFOAM “requiring significant code refactoring and/or rewriting”. At the end of Year 2 of CFD Direct, we summarise our principal activities as the primary contributor to OpenFOAM. We developed new functionality, producing OpenFOAM v4.0 and v4.1, maintaining the OpenFOAM code base, documentation, websites and other infrastructure — where we contributed 1300 man-hours of work in-kind. We delivered 55 days of OpenFOAM Training — Essential, Applied and Programming CFD — as scheduled classroom courses, live virtual training and on-site. We released new versions of our cloud CFD platform, CFD Direct From the Cloud (CFDDFC), and became and Advanced Technology Partner of Amazon Web Services. In Year 2, CFD Direct delivered 55 days of OpenFOAM Training with its 3 × 2 day courses, Essential CFD, Applied CFD and Programming CFD. 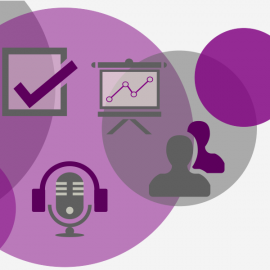 Training was delivered as: scheduled Classroom Training in London, Berlin, Munich, Houston, Chicago and Beijing; live Virtual Training; and, customer On-Site Training. 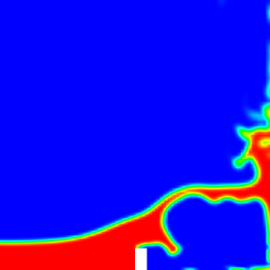 We launched our Programming CFD course, containing modules in C++ programming applied to popular examples in OpenFOAM. We successfully ran live Virtual Training courses with participants from a wide geographical area. And we updated Training for OpenFOAM v4, that included our changes to make OpenFOAM easier to use. 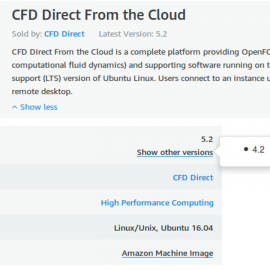 In Year 2, CFD Direct updated its OpenFOAM cloud computing platform — CFD Direct From the Cloud (CFDDFC) — to OpenFOAM 4.1, running on Ubuntu 16.04. Feedback from users was very positive, including a 5-star rating on the CFDDFC Marketplace Product page at at Amazon Web Services (AWS). We became an Advanced Technology Partner of AWS, and produced a case study on the cost of CFD on AWS EC2 that concluded, in particular, that the cost of Spot instances was approximately 40% of the total cost of ownership of on-premises hardware. We made CFDDFC available on AWS X1 instance types, running simulations on 32 and 64 physical cores in a single instance. Cloud computing replaces large upfront expenses with low, variable payments that only apply to what you use. CFD simulations cover a range of sizes and complexity. 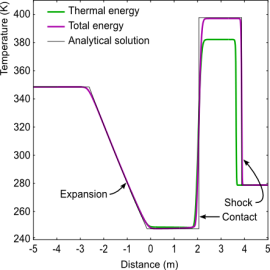 Activity is generally interrupted by quiet periods when simulations are halted, e.g. when a simulation ends non-working hours, during analysis of results or preparation of a new simulation, etc. The fluctuating demand makes CFD well suited to a pay-per-use model. Users need to understand the costs involved to get the best value from cloud and be confident that they fall within budget. 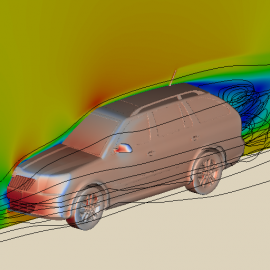 This article explains the costs, with an example of an external aerodynamics calculation with OpenFOAM using CFD Direct From the Cloud™ (CFDDFC) on Amazon Web Services (AWS). 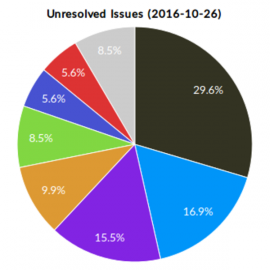 A breakdown of outstanding issues in OpenFOAM (2016-10-26) shows 90% of unresolved issues falling within only 7 categories. The two worst offenders account for almost half of all unresolved issues: 1) AMI, ACMI and cyclic interfaces; and, 2) heat transfer, including conjugate heat transfer (CHT). These categories, and “particles and tracking” and “sources/constraints” in particular, require significant refactoring and/or rewriting. Their current state of disrepair was caused by poor funding under a roadmap development strategy. Funding of agile development of OpenFOAM is now needed to support our aim to improve quality, with a target 50% reduction in unresolved issues in 2017. Agile development of OpenFOAM emerged following the public distribution of the development line in December 2014. 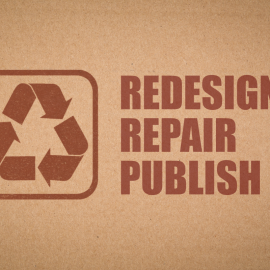 It relies on user participation, which is encouraged by rewarding users for reporting issues with timely resolution. 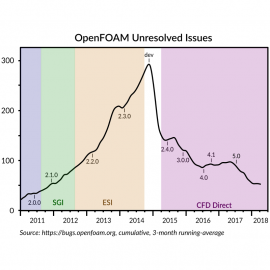 OpenFOAM was in poor health at version 2.3.0, with unresolved issues increasing rapidly and long resolution times. 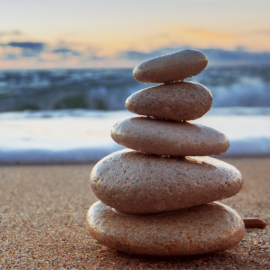 Following the move to agile development, unresolved issues are reduced and under control, with ~70% of issues resolved in 1 day and ~90% resolved in 1 week, taking OpenFOAM to a new level of quality and maturity (always releasable) by version 4.0. 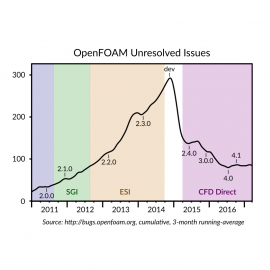 The OpenFOAM Issue Tracking system exists to enable users to report issues. 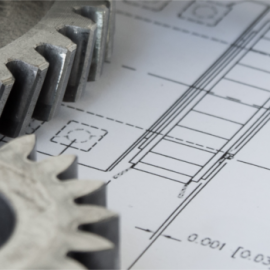 An issue exists when OpenFOAM behaves in a manner that does not meet reasonable expectations, including in design and usability. 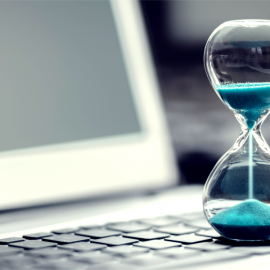 OpenFOAM is mature, quality software, whose successful development demands that issues are resolved in a timely manner. 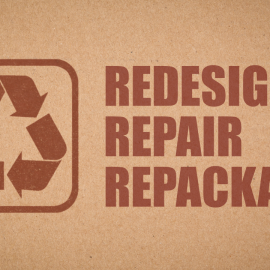 Roadmap development obstructs issue resolution, resulting in unreliable software and inefficient development. Instead, free, open source software can exploit agile development with frequent code release, as the best strategy for CFD development. 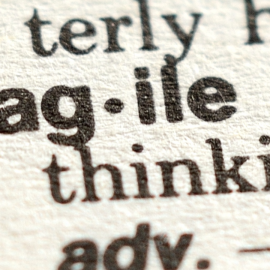 Users should adopt continuous upgrade to minimize cost and to benefit the agile development strategy. Fluid dynamics is concerned with the motion of fluids (liquids and gases) and the forces on them. “Computational” refers to computation of the flow and forces using numerical analysis. We define “computational fluid dynamics” as “the prediction of fluid motion and forces by computation using numerical analysis, generally extended to include heat, thermodynamics, chemistry and solids”. This definition covers a broad range of calculations for numerous scientific and engineering applications, in particular involving heat. This article provides information on the equation describing conservation of energy relevant to fluid dynamics and computational fluid dynamics (CFD). It first assembles an equation for combined mechanical and thermal energy, i.e. total energy, in terms of material derivatives. It then presents an equation for thermal, or internal, energy. The total energy equation is then provided in terms of local (partial) derivatives, both in terms of internal energy and enthalpy. The implementation of the energy equation in solvers in OpenFOAM is then described. This article provides information on tensor mathematics, relevant to fluid dynamics and computational fluid dynamics (CFD). It describes scalars and vectors and typical algebraic vector operations. It follows with second rank tensors, their algebraic operations, symmetry, skewness and tensor invariants such as trace and determinant, higher rank tensors, co-ordinate system and change of axis. Tensor calculus is introduced (div, grad, curl and Laplacian), followed by integral theorems of Gauss and Stokes, with a physical representation of div and curl, and more. 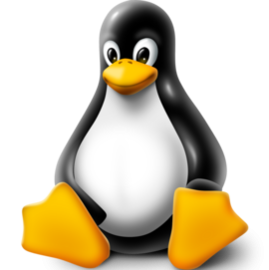 This guide provides information and example terminal commands for Linux, relevant to users of OpenFOAM. Commands are written that refer to OpenFOAM, e.g. they include OpenFOAM Linux environment variables. Those commands that refer to OpenFOAM will only function as stated, if they are executed on a machine on which OpenFOAM is installed and the user’s environment variables are set up for OpenFOAM, e.g. as described in the source download page (see Setting Environment Variables). In 2017, CFD Direct are running sessions of their OpenFOAM Training courses — Essential CFD, Applied CFD and Programming CFD — fully updated with the latest features of the new version 4 release of OpenFOAM: 24-27 April 2017, Berlin Germany; 16-18 May, Virtual Asia-Pacific; 20-21 June, 26-27 June, Virtual Americas; 4-5 July, London UK; 12-13 Sept, Virtual Americas; 25-28 Sept, London UK; 16-19 October, Chicago USA. OpenFOAM v4 contains new functionality we introduced in OpenFOAM v4 to improve usability so our course participants spend less time struggling with quirks of the software, leaving more time to build and practice their CFD skills.